General Imaging has recently added new waterproof camera to its lineup for those who love underwater shooting without additional custom case. Named as G3WP, the camera has been equipped with custom underwater casing that can submersible in up to three meters of water. The waterproof camera has been enhanced with a 2.7-inch LCD screen that automatically adjusts to changes in ambient light for enhancing the photo experience. Featured with a 12.2-megapixel sensor with 4x optical and 4.5x digital zoom, the G3WP camera is also integrated with face, smile and blink detection features. It supports image stabilization and automatic red eye reduction. Additionally, the camera comes with 116MB of built-in memory and supports up to 8GB of SDHC card. 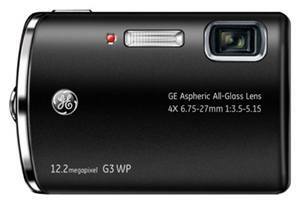 Available in blue, grey and red, G3WP camera is expected to be available at mid of October and is priced at $200.